The lawyers at the Stenger Law Firm, LLC have helped clients Nationwide as one of the most successful litigation law firms in the country. Our attorneys will provide you with experienced legal counsel in many areas of the law. Our Missouri law firm is a highly successful plaintiffs-only personal injury and mass tort law firm. The Stenger Law Firm, LLC handles personal injury cases with an emphasis on pharmaceutical litigation such as dangerous drugs like Yaz or Yasmin, Levaquin, Cipro, Trasylol, Vioxx, and Bextra. Our lawyers and staff are focused on representing you, the victim. Did a defective drug or product cause you or a family member harmful side effects? Did it result in serious injury or even death? In 1998, a GlaxoSmithKline internal review found an alarmingly high number of Paxil birth defect reports. However, the information was not turned over to the FDA. Early results of two studies showed that women who took Paxil during the first trimester of pregnancy were about two times as likely to have a baby with a heart defect as women who received other antidepressants. Paxil is the only SSRI on the market that is classified by the FDA as a Category D drug. Category D means that studies in pregnant women have demonstrated a risk to the fetus. Most of the heart defects reported were atrial and ventricular septal heart defects (holes in the walls of the chambers of the heart). Click here to find out more about Paxil. Zoloft Birth Defects range in type and severity, but have been found to occur three times as frequently in newborns of mothers who took Zoloft during pregnancy than the same birth defects in newborns of mothers who did not take the drug. Zoloft Birth Defects can include PPHN, club foot, ventricular septal defect, and spina bifida and other neural tube defects. 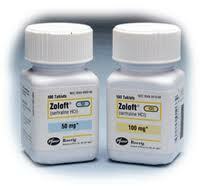 Zoloft is an SSRI that, when ingested during pregnancy, has an adverse effect on the level of maternal serotonin. Maternal serotonin plays a crucial role in fetal development and imbalanced levels can cause severe defects and complications. Many Zoloft Birth Defects, including Zoloft PPHN, can lead to a lifetime of expensive medical procedures and health risks. Mothers who took Zoloft for depression, social anxiety, or any other reason during pregnancy should seek out a lawyer for a Zoloft Birth Defects case evaluation. Click here to learn more about Zoloft.